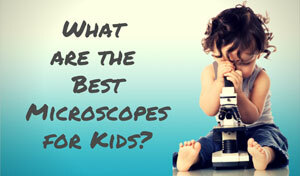 The Learning Resources Illuminated Pocket Microscope is an inexpensive toy that makes exploring fun. 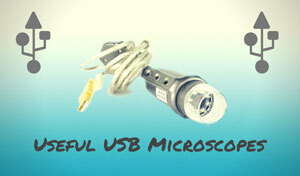 This tiny 30x pocket microscope is portable, easy to use, and yields a very clear picture for the price. This unit puts the microscopic world in the hands of any eager user. Magnification of 30x may not sound very impressive, but there are plenty of advantages to using a small pocket microscope. They're fun for curious adults and great learning tools for kids. They're also very easy to use and are ready to go right out of the box; all that's required for this one is two AA batteries (not included). 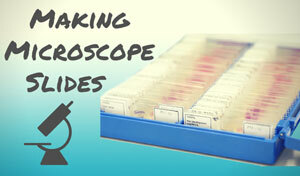 Measurements of 5 3/4" x 6 3/4"
One of the best features of this microscope is its portability. At only 5 3/4" x 6 3/4", you can take it almost anywhere. It also comes with its own storage case to help protect it during transport or storage, allowing you to work inside or outside with ease. Other portable microscopes use natural light for their light source, yet this one actually has built-in illumination. This makes a big difference when exploring indoors or outdoors at different times of day. The light highlights what you're looking at well, yet can be adjusted so that it does't directly shine on the specimen. As for the controls, it has a simple wheel that adjusts the focus. The size of course limits the depth of field, but the fine focus dial helps the user achieve the best image possible. Consumers do have a few minor complaints about this model. Although the 30x magnification works, there are reported problems with people holding the unit steady. Thus it works best when placed on a flat surface. Users who are trying to view a specimen that can’t be touched may find focusing it to be a challenge. Although this 30x pocket microscope is handy and fun, it isn't very sturdy. Dropping or mistreatment will harm it, perhaps permanently. The plus side is that it's under $10; so replacing it will not empty your bank account. The Learning Resources Illuminated Pocket Microscope is a low priced product that makes a great gift, opening up the microscopic world to many different types of curious minds. Novice users of all ages will enjoy its portability, convenience, and ease of use. More advanced users may not appreciate this little microscope. Although the 30x magnification does a decent job, those looking for extreme detail will be disappointed. Yet all in all, this is a nice kids microscope. 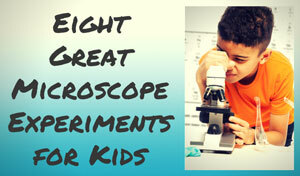 Recommended for: Children between six and twelve years old will get the most out of it. Younger children may also enjoy it but the unit may not be able to withstand the misuse. It's great for the classroom, outdoor education, or a curious adult on a budget. 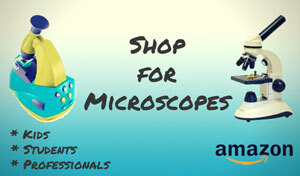 Buy the Learning Resources Illuminated Pocket Microscope at Amazon!